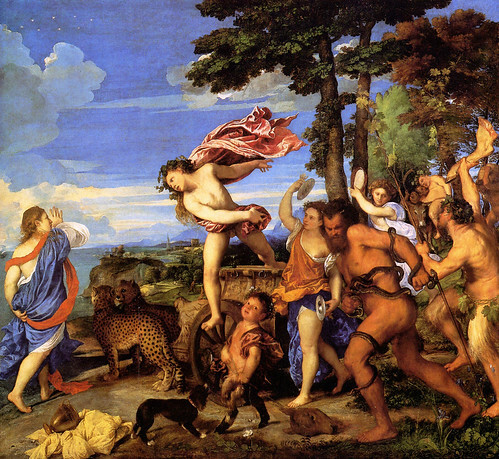 Titian (Venetian, a. 1506-1576) Bacchus and Ariadne (1520-23) Oil on canvas. 176.5 BY 191CM. National Gallery, London. In the upcoming exhibition, "Benjamin West and the Venetian Secret," (beginning September 18) Yale's Center for British Art explores an obsession with recreating the methods of Titian. The Sunday New York Times dedicates an excellent article to the topic. 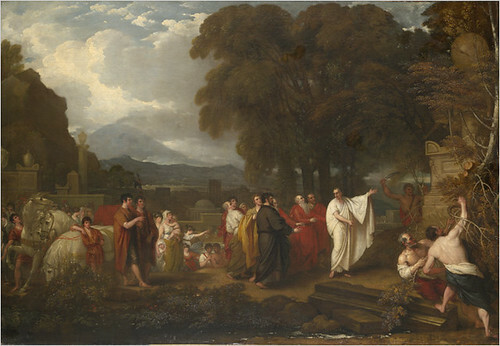 Benjamin West (Anglo-American, 1738-1820) Cicero Discovering the Tomb of Archimedes (1797) Oil on canvas. 124.5 BY 180.5CM. Yale University Art Gallery. Benjamin West (Anglo-American, 1738-1820 ) was one brightest stars in British painting at the end of the eighteenth century. During his career, art and art academies turned away from nearly a century of lighter subject matter and back towards the subjects and methods of the Old Masters. This included investigating how Old Masters actually painted. Color theory, the chemistry of paints, grounds and, even, proper stance while painting, were all debated in the halls of England's Royal Academy. Benjamin West (Anglo-American, 1738-1820) Portrait of artist posing as President of the Royal Academy. 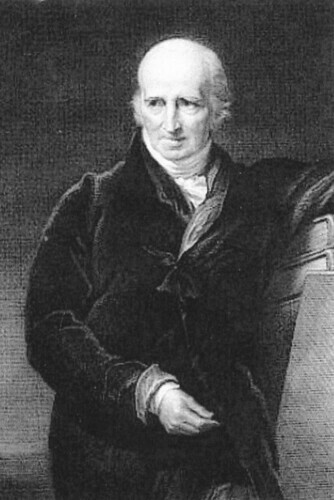 West had served as President of the Royal Academy (1792-1805; 1806-1820) and was particularly interested in the works of the Venetian painter Titian (Venetian, a. 1506-1576), and his ability to achieve high intensity color in his paintings. So when an artist named Ann Jemima Provis and her father, Thomas Provis, approached West and told him they had found a copy of an old manuscript that explained how the Venetians achieved their distinctive style of painting, he jumped at the chance to learn more. Eager to incorporate the methods in the manuscript into his own work, West began experimenting with them. Painters working under the instructions of the Provises did not have the same results as the Old Masters, which led to suspicions regarding the Provises's claims. The Provises were discovered for their hoax, and a number of artists who had paid for their advice were discredited in the press and at the Royal Academy. West, especially, was criticized for not having seen the hucksters for what they were.